Offer valid for UPS ground customers within 1- 2 days of transit only. 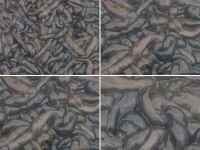 Fishing with Ribbon leeches is very popular in the northern part of the United States. 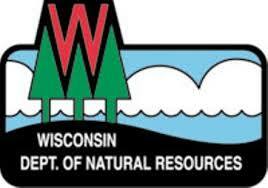 In Wisconsin there are several species of fish like walleyes, bass, perch, bluegill, and crappie that seem to like eating leeches. Some anglers swear by leeches and say they are the only thing that’s working. Leeches are a great alternative to nightcrawlers. All leeches have 2 sucking discs (one at each end). The larger disc is located at the tail which is used most of the time to hold on to things. The smaller disc is the mouth area. Most anglers hook a leech around the large disc area. The large disc and small disc on a leech are also used in the reproduction process because they contain both male and female reproductive organs. There may be slight color variations from either a light brown to olive green but most are blackish. Some leeches will also have a few black spots. Leeches are easy to keep alive if you keep them refrigerated and change the water faithfully every 2 days .It is best to use non chlorinated water like well or spring water. 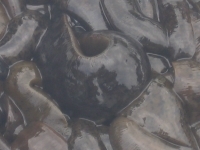 Leeches seem to do best when they are covered with just enough fresh water to cover their backs. They are also not as sensitive to low oxygen levels as some other baits. The Ribbon leech is not a blood sucking leech but a leech that feeds on small aquatic invertebrates in the water column. Most of our leeches are caught in the spring time and early summer in ponds and marshes and can be kept alive for most of the year. 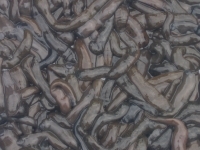 Buying Ribbon leeches in bulk can save you and your fishing buddy’s money. We offer several size options at affordable prices. Our leeches are firm, fresh and extremely healthy. Jumbo and extra large leeches usually run about 4-5 inches long. 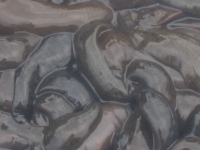 Large leeches run about 3-4 inches when fully extended. Extra large and large leeches are typically used for Walleye and bass. 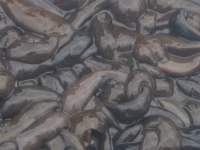 Our medium leeches, 2-3 inches long offers the average size leech that appeals to both large and small fish. Small leeches are great for panfish and at about 1 inch long they are at perfect size for helping you catch your daily bag limit. Buying leeches by the pound saves you time and money! ©2006-2017 (The Reel Thing LLC.) All Rights Reserved.